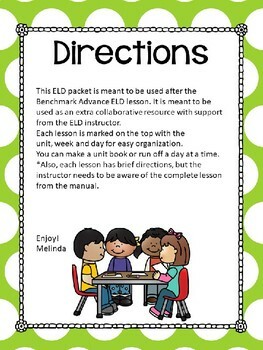 In this packet you will get one companion lesson to go with each ELD lesson in the Benchmark program. 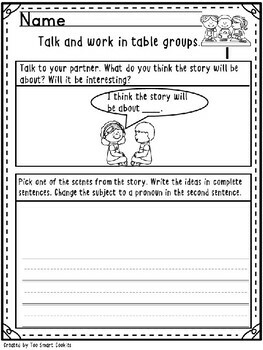 This companion piece is meant to be collaborative and completed with teacher support. 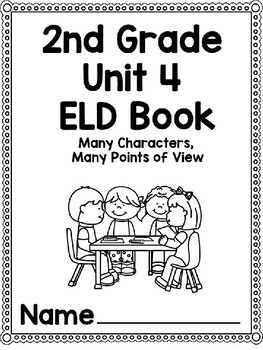 In each lesson, there is a language component and an oral and written language component. 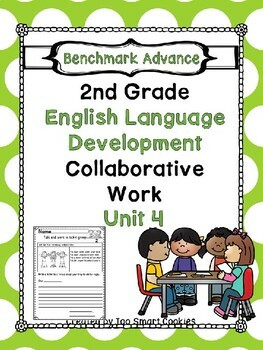 You can make a unit workbook or run off each day. Directions are brief, so please use manual for complete lesson.